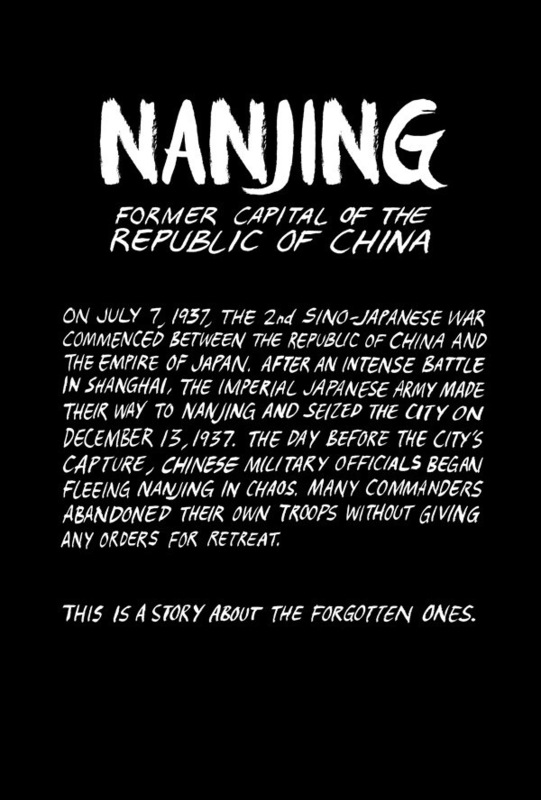 Taking a long, unblinking look at one of the forgotten atrocities of the Second World War, Ethan Young tells the story of the Nanjing Massacre – a brutal overthrow which saw 300,000 Chinese civilians and POW’s lose their lives at the hands of the Imperial Japanese army – from the perspective of two Chinese soldiers trapped inside the walled city, desperately trying to survive. 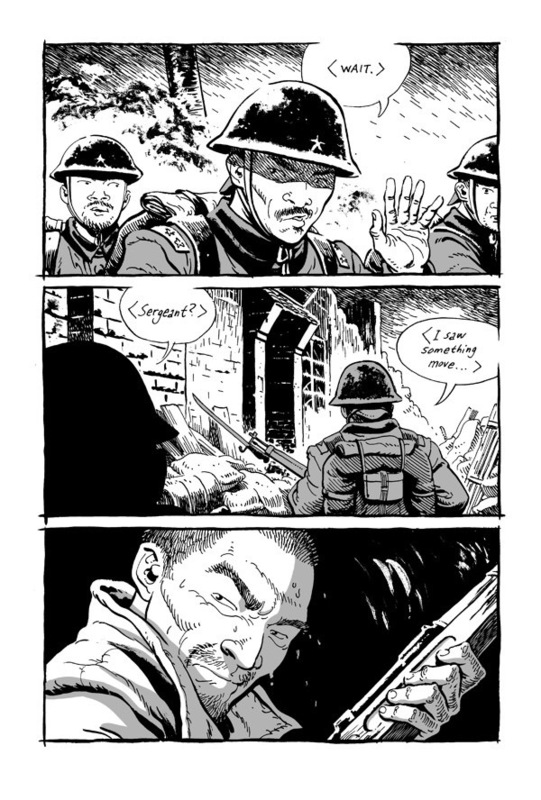 Utilising a stark, black-and-white visual style, Young introduces us to these two soldiers at their most desperate; horrendously outnumbered, facing death – or worse – should they be discovered, and with no real consensus on what their best course of action might be. 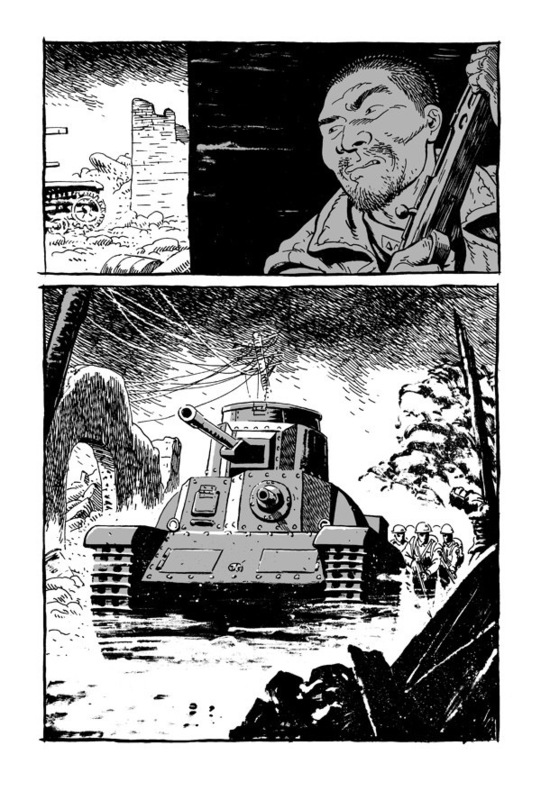 The contrast between the two soldiers is significant, with younger Yu filled with naiveté and foolish optimism, while the older solider – only ever referred to as ‘Captain’ – has a far more matter-of-fact, world-weary outlook. Right from the start, we watch these men being forced to make unthinkable decision after unthinkable decision. Bring an old man along with them, knowing full well that he’ll slow them down and possibly risk their own lives in the process, or leave him behind to almost certain death? Help a young women being sexually assaulted by almost feral soldiers, knowing that it will insert them into a hugely one-sided firefight, or turn a blind eye and save their own skin? 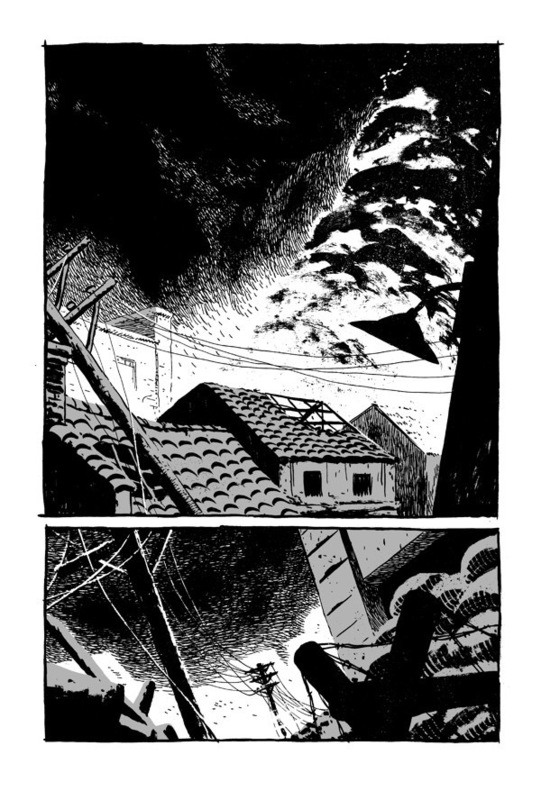 Young tackles these moral dilemmas head-on, never flinching as he forces us to face up to the true horrors of war. 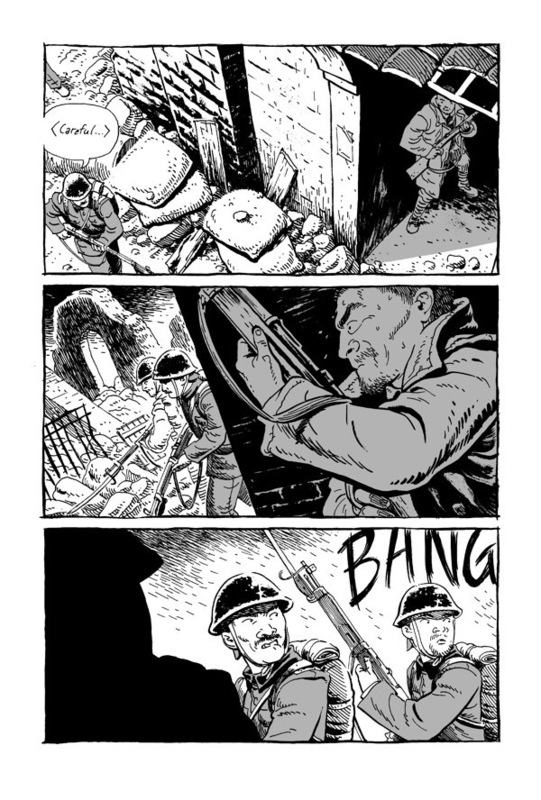 It’s powerful stuff, and forms an intense bond between the reader and the soldiers as we are repeatedly forced to ask ourselves… what would we do in that same situation? There’s no real bias to Young’s writing either, something which is truly admirable given the incredibly emotive subject matter. 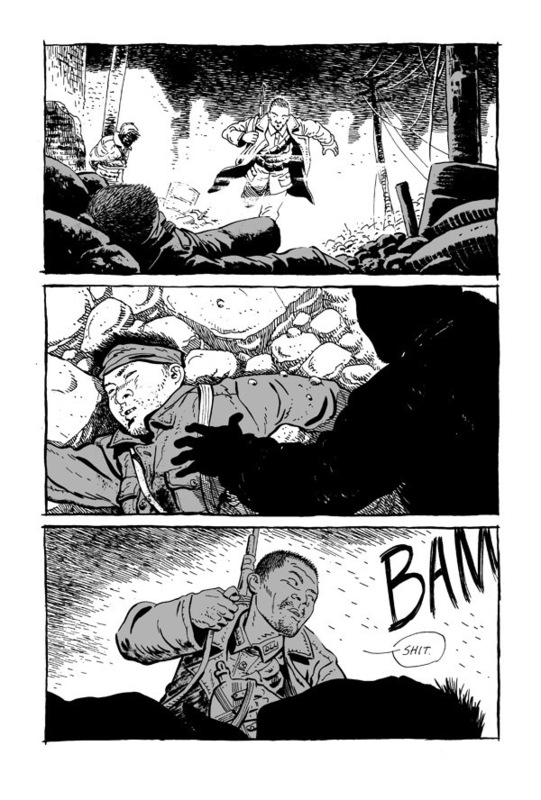 While a portion of the Japanese Army are painted as brutal savages, Young makes sure to show balance, introducing young Japanese soldier Yoshi midway through the story to show that no, not all of the occupying forces are drunk, belligerent rapists. 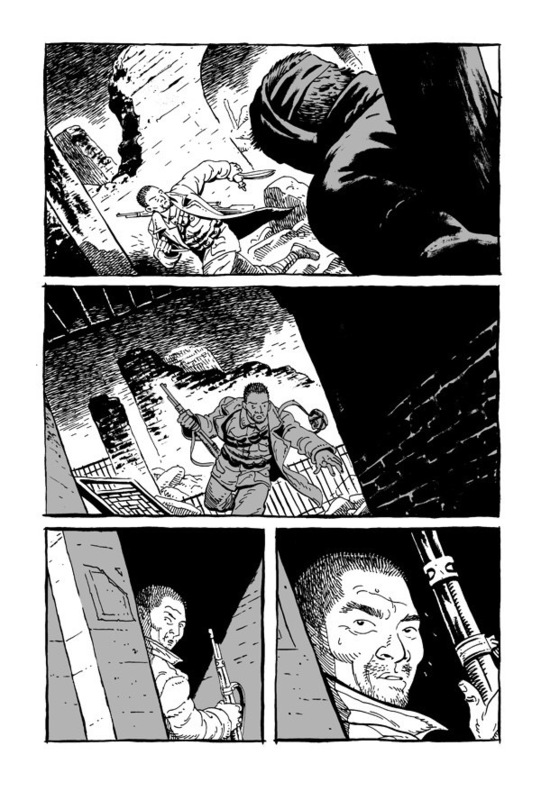 We are also given a different perspective on the conflict from a civilian Chinese family who the two soldiers find themselves intertwined with, prompting the Captain to lower his guard somewhat and giving us an emotional look at the man behind the gruff, grizzled demeanour. The story surges on towards its somewhat inevitable conclusion, culminating in a truly moving scene that literally had the hairs on the back of my neck standing on end as I read it. 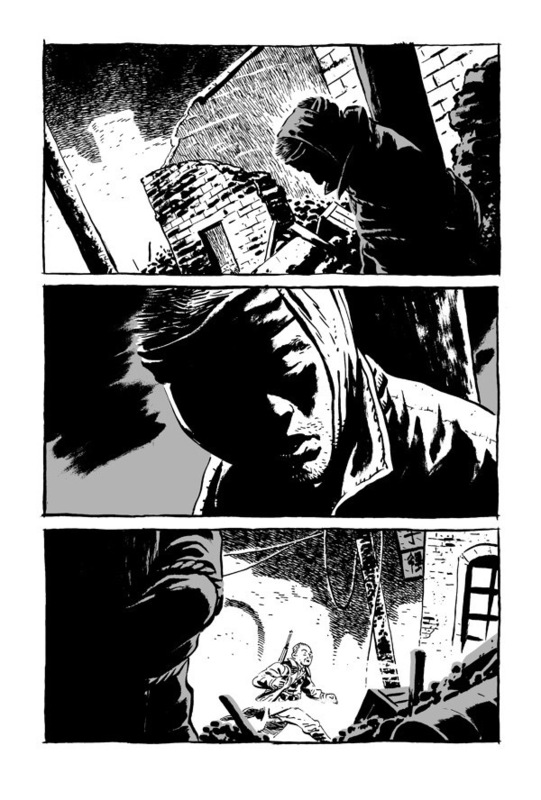 All throughout the book, Young’s artwork is a study in subtlety; a fleeting glance, a bead of sweat, everything is used to build the tension and the sense of horror without ever having to rely on unnecessary schlock or gore. 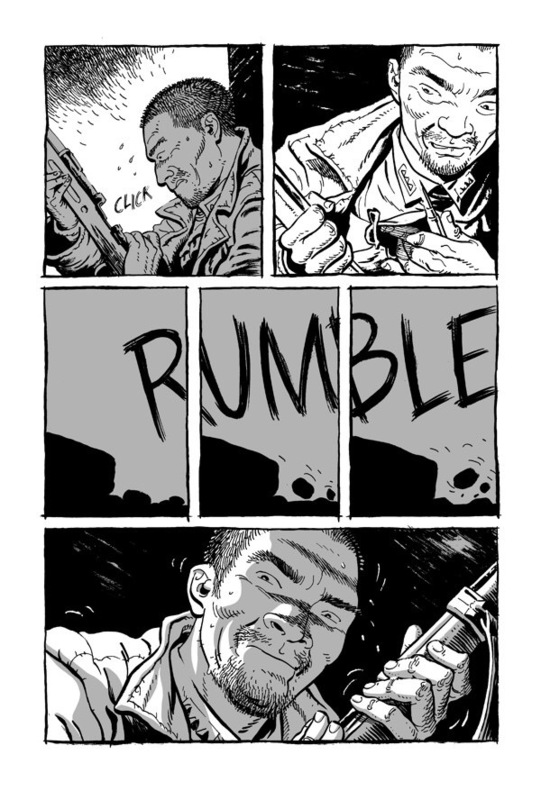 The violence here is matter-of-fact, almost disturbingly so, but is used to hammer home the grim reality of the situation and never as titillation or distraction. 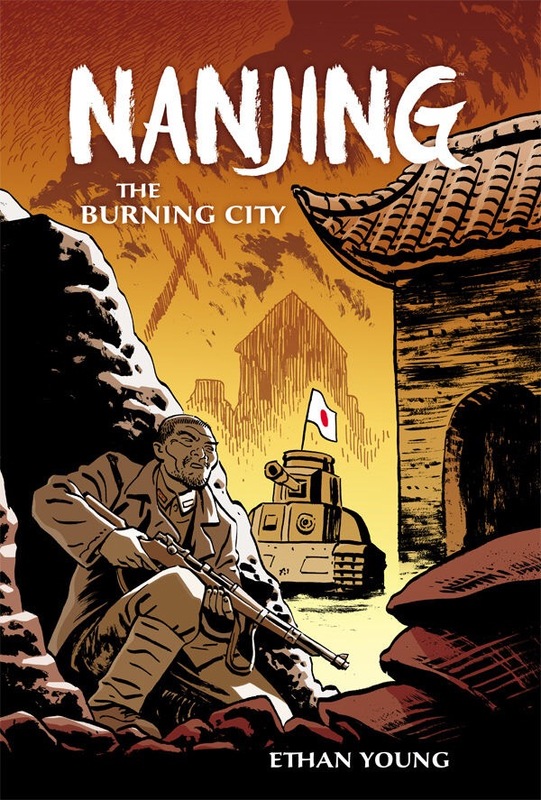 A powerful and emotional statement about war and defiance, Nanjing: The Burning City is a measured, harrowing account of a truly horrific chapter in Chinese history, and is framed with a sense of humanity and relatability that is bound to leave an imprint on even the most cynical reader. Highly, highly recommended.